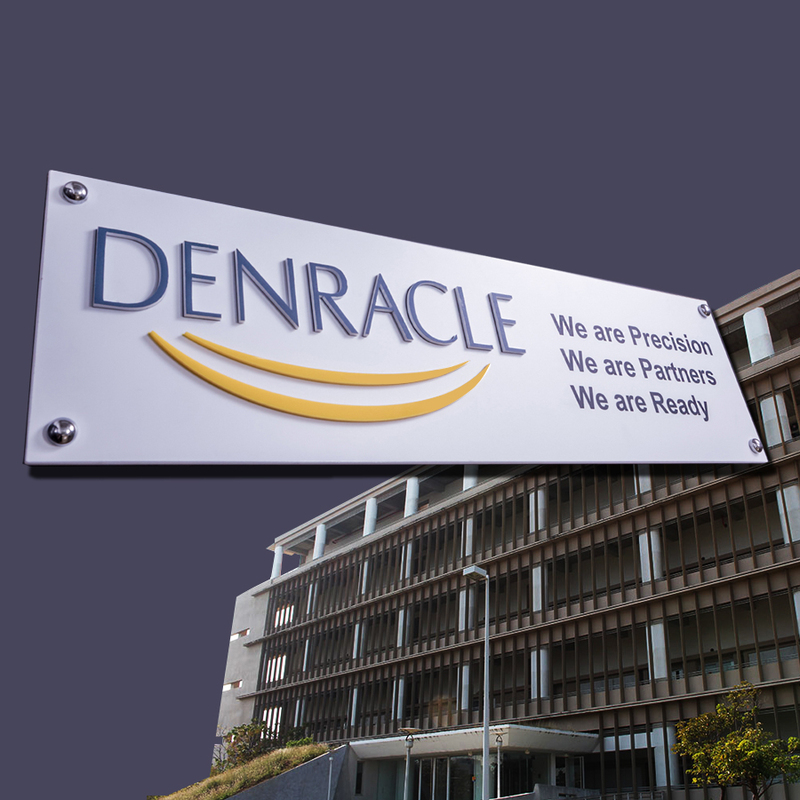 1.What CADCAM implant parts does Denracle offer? 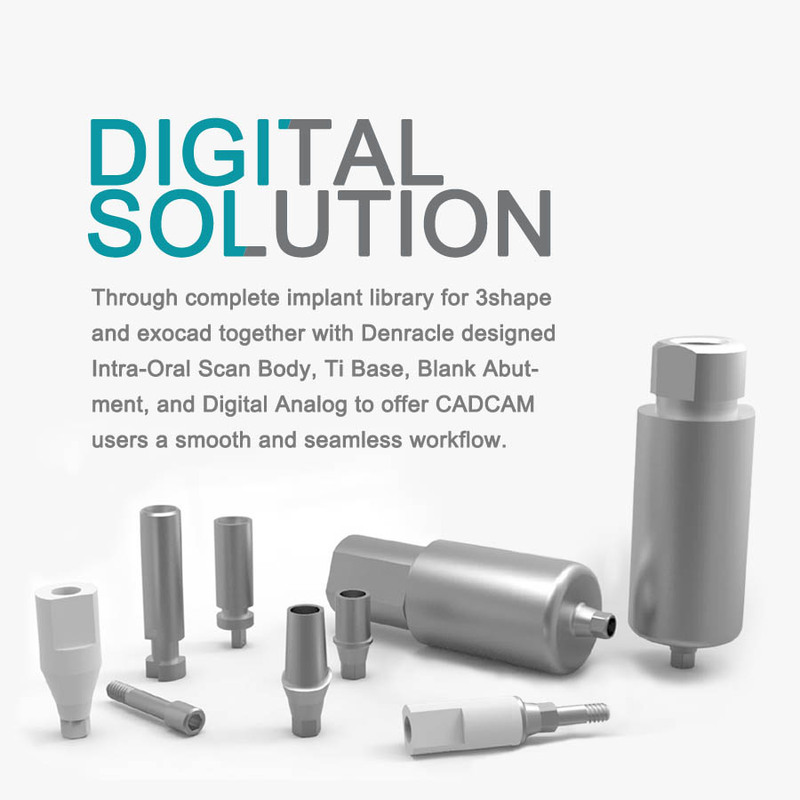 We offer Ti base, premilled blank abutment, intra-oral scan body, model scan body and digital analog for CADCAM dentistry. 2.What is a Ti base? Tibase is the abbreviation for titanium base. The product is paired with cement ZrO2 abutment, and is to be used in conjunction with a single-tooth implant and bridge. 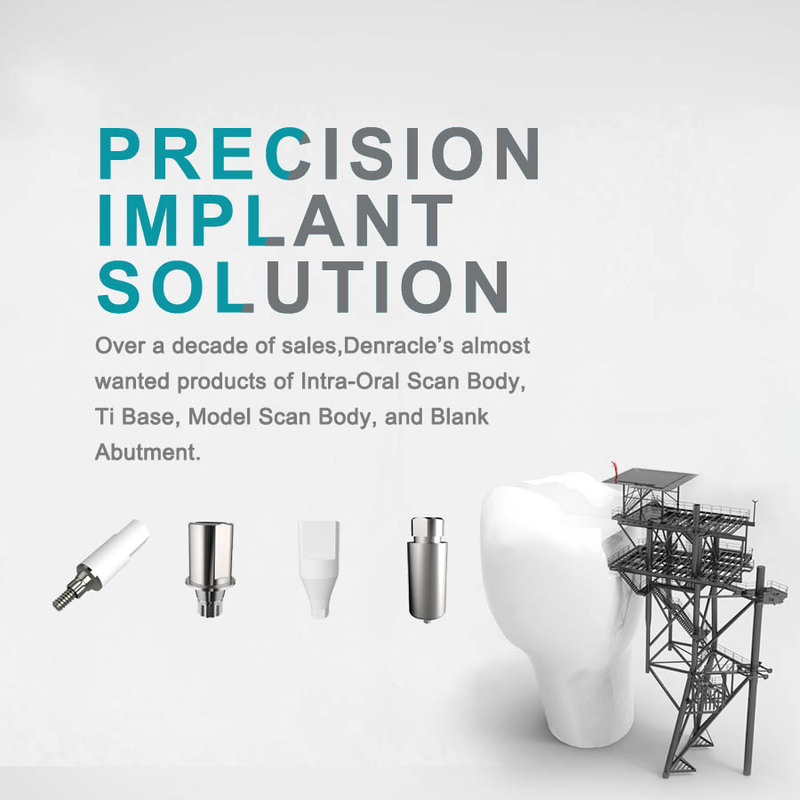 Denracle has specially designed the connection of the Tibase to be compatible with the most well know implant systems. 3.What is a pre-milled blank abutment? Pre-milled blank abutment is also known as blank abutment. It is with a pre-milled implant-abutment connection and labs can use it with in-house milling machine to directly mill a full titanium customize abutment. 4.What is the difference between a Ti base and pre-milled blank abutment? The main difference in use between the TiBase and Blank Abutment is that the TiBase is part of a two-piece abutment design while the Blank Abutment is one-piece design. The Blank Abutment can be milled into a customized abutment. The connection of our Blank Abutment is compatible with many well-known implant systems. We can also provide library for CAD design use to help technicians to save time and effort when using our Blank Abutment. 5.With what machines can I mill Denracle pre-milled blanks? Denracle pre-milled blanks can be milled with VHF, IMES ICORE and ARUM. We also provide holders for VHF & IMES ICORE. 6.What is a model scan body? The model scan body is used for scanning patient’s plaster models when using a lab or model scanner such as 3shape, Dental Wings, Identica and so on. It could help dental technicians to position and design abutments in the CAD software. 7.What is an intra-oral scan body? The intra-oral scan body is used by dentists when scanning patient’s mouth with an intra-oral scanner such as Trios, Carestream, iTero and so on. It could help dental technicians to position and design abutments in the CAD software. Analogs are used in dental laboratories for technicians to replicate the excat positioning in a patient’s mouth. In addition, the Analog can help the crown to be more accurately placed in relation to the implant. 9.What is a digital analog? The digital analog serves the same function as conventional analog but digitally. It is a digital replica of the implants to simulate implant position in a 3D printed model or in a machine milled model. 10.What are the design concepts of Denracle abutments? We design two types of Abutment, Standard Abutment and Esthetic Abutment. Our abutment are also compatible with many well-known implant systems. The Esthetic Abutment is designed to fit the contour of a patient’s mouth. When cemented with a crown the metal part of the abutment is not visible on the outside of a patient’s gum line resulting in a beautiful confident smile. 11.What implant systems are Denracle products compatible with? Please refer to Denracle product catalog or go to Products area on this website. Denracle library is expanding to new systems annually. 12.In what CAD systems can Denracle library be used? Denracle has official contracts with 3Shape and exocad. 3shape users can directly download our library for installation while Exocad users can find built-in Denracle library in the Software. Copyright © Green DenTech Co., Ltd.